Sensitive skin is one type of skin need treatment with extra caution. Wrong care just a little, it can cause a condition that is quite disturbing. 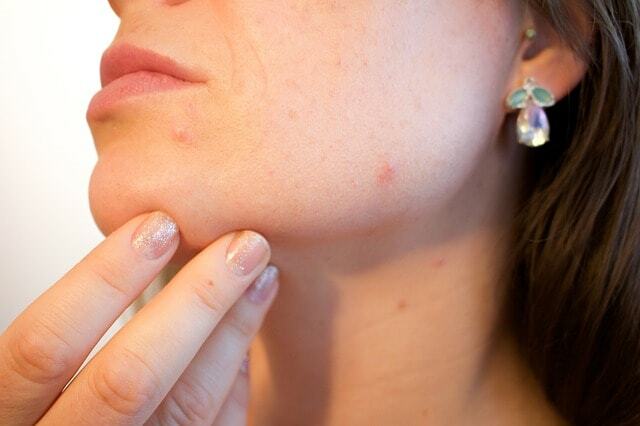 The most frequent problems ranging from acne, scars, redness, irritation, etc. However, the problem most often arises is irritation of the skin. This irritation usually arises with a marked presence of thinning of the skin, sores on the outer layer of skin, pains that quite annoying, as well as redness on the skin area. Besides being able to interfere with the appearance, skin irritation can also interfere with daily activity, so it should be handled quickly and properly. Being in a room where temperature can not be tolerated by the skin,Consume foods that cause allergies, and more. At this time the article we will specifically discuss about skin irritation caused by the use of cosmetic ingredients wrong or does not comply with the conditions of the skin, as well as how to troubleshoot natural sensitive skin and irritation. For the record, Yes! In choosing cosmetics and skin care products, we should choose to suit our skin type, because usually the cosmetic products are made for certain skin types only. Not wrong, then first we must recognize our own skin type. Wrong in choosing cosmetic products because it does not correspond to the type of skin can result in irritation, especially on sensitive skin types. In addition, choose cosmetic or skin care products are safe and avoid harmful substances. Cosmetic products before you buy, find out basic ingredients used in cosmetic products. Please read carefully the content of the materials used (usually written on the packaging). Or, ask the people closest to You who have been using these products. Beauty products are most often use hazardous materials is the product of a swallow. The materials used include mercury and hydroquinone. Both of these materials are very dangerous and have banned its use on cosmetic ingredients. Mercury and hydroquinone works made forcibly peels, as well as turn off melanin cells are useful in keeping the skin from blistering matarahari. The second use of this material is almost certainly can damage the skin. In mild cases of its nature is only temporary, but in more severe cases can cause permanent damage to the skin. To that end, carefully selecting cosmetic products especially skin whitening products. Make sure both of these ingredients is not found in it. First use of natural ingredients as bleach your skin, eg bengkoang, milk (or yogurt), lemon, and other natural ingredients. The use of natural materials as bleach and skin care ingredients is quite effective, and certainly safer. Cucumber mask can be useful to give a cool sensation on the skin, thus reducing the pains arising at the time of irritation. Mix a little honey to help speed healing of irritation. Use this cucumber mask aside to cool the skin can also be used to add the needed minerals and nutrients the skin, so skin becomes healthier. Bengkoang masks can also be an alternative to help reduce the pains in the wake of irritation on the skin. While the use of masks bengkoang usually skin will feel cold, and pains ever lost. Vitamin C has many on bengkoang also can help the healing process of wounds, and irritation can make skin whiter naturally. To increase the efficacy of mask bengkoang, can be blended with olive oil, because it can act as a remedy for inflammation and skin's natural moisturizer. Olive oil is a natural skin moisturizer, and can act as an anti-inflammatory or anti inflammation. The content of vitamin E which is quite high in olive oil is very nutritious to help regeneration of skin cells. On sensitive skin irritation occurs, use of a vitamin E is needed to update the skin cells around the area of irritated skin, so the healing process of irritation could run faster. Olive oil can also be used to smooth the skin of the face, hands, soles of the feet, as well as to address wrinkles. On dry skin, olive oil is useful for keeping the skin moist with maximizing work oil glands under the skin so the skin's natural oil production remains awake. Honey can act as good with olive oil, as useful as a moisturizer and anti-inflammatory, but usually feels more sticky honey in skin. Use with cucumbers to give the sensation of cold, relieve pains, and accelerate wound healing irritation.